This week Brandon and I had the privilege of reviewing the new Saucony Triumph ISO running shoe via a campaign with FitFluential LLC. Brandon has been overdue for some new kicks, so I was thrilled when we were presented with the opportunity for him to receive the shoes. I want to be sure you are able to read the genuine review from his mouth (versus mine) in case your significant other is looking for some new running shoes! 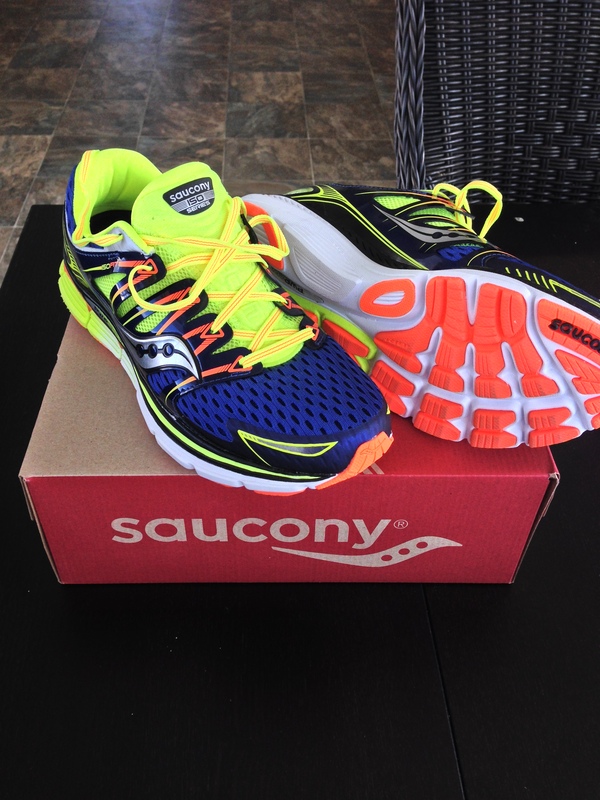 I asked Brandon to write-up his honest review, and here is what he has to say about the new Saucony Triumph ISO running shoes. “Can’t believe that I got a pair of shoes to review! I’m always a little bit jealous when Amanda gets products to try out. 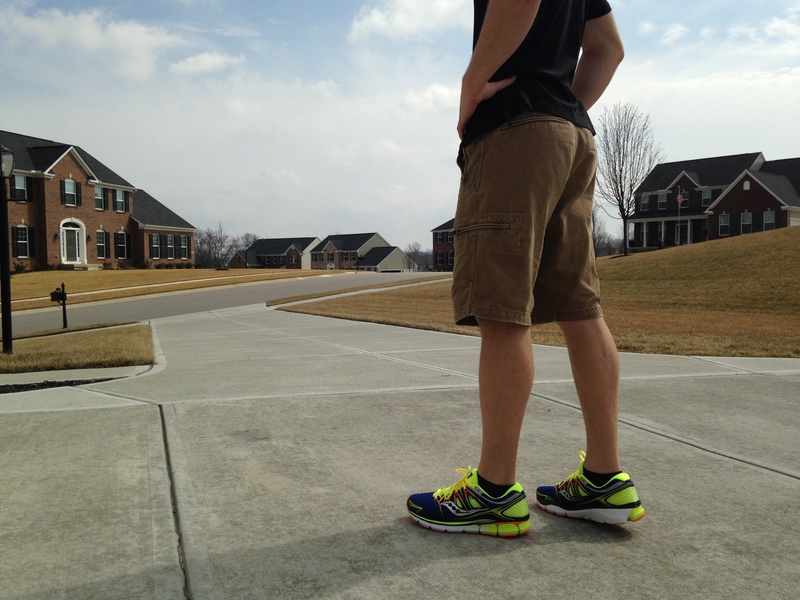 I got a chance to review the men’s Saucony Triumph ISO (size 11w, btw), as part of a FitFluential LLC campaign. These are great shoes! They are my 1st pair of Saucony’s since 2005, and I love their new updates. I think I might switch back to Saucony from Brooks and Asics. I love the reflective colors (not going to miss them!). They have a great fit and feel like I’m just wearing socks – it’s their ISOFIT system. They are extra-cushiony on the heel, too. Check out this video with 3D animation featuring new technologies in the Triumph ISO. We were both very impressed with the packaging, free T-shirt, and phenomenal shoe quality from Saucony. Brandon will enjoy these runners for several months and he looks forward to purchasing a second pair when he’s due for replacements. Thank you Saucony and FitFluential for the opportunity to share our authentic review of these new shoes!